The arrival of any new U2 album is a bit special - let alone one you helped create. 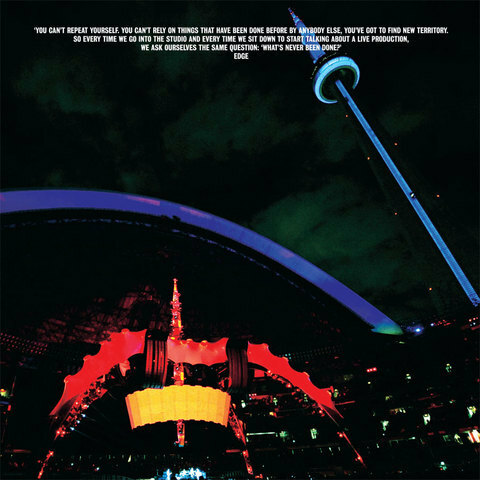 U22 is the soundtrack you created of three years on the road between 2009 and 2011 - and you're about to have it in your hands for the first time. So why not make us a short clip as the package lands in your trembling hands, as you faint on opening the beautiful photo book, as you first slide these exclusive CD's into your sound system... as your non-U2.com subscribing friends are overcome with envy. Edit your own clip and cut it down to a lean and mean two minutes. Extra points for clever and funny and unexpected. Maybe tell us what track you wanted on it - and make that your soundtrack. Then upload your mini-movie to YouTube and tag it 'U22 Unwrapped' - or post it in Zootopia. We'll be looking for the best clips to post on U2.com - and we'll be giving prizes to the winners, some pretty exclusive swag from the shelves of the U2.com Store. U22 will be with you anyday... let's capture the moment.